Colorful illustrations show major roads, landmarks, buildings and even the topography of some areas. 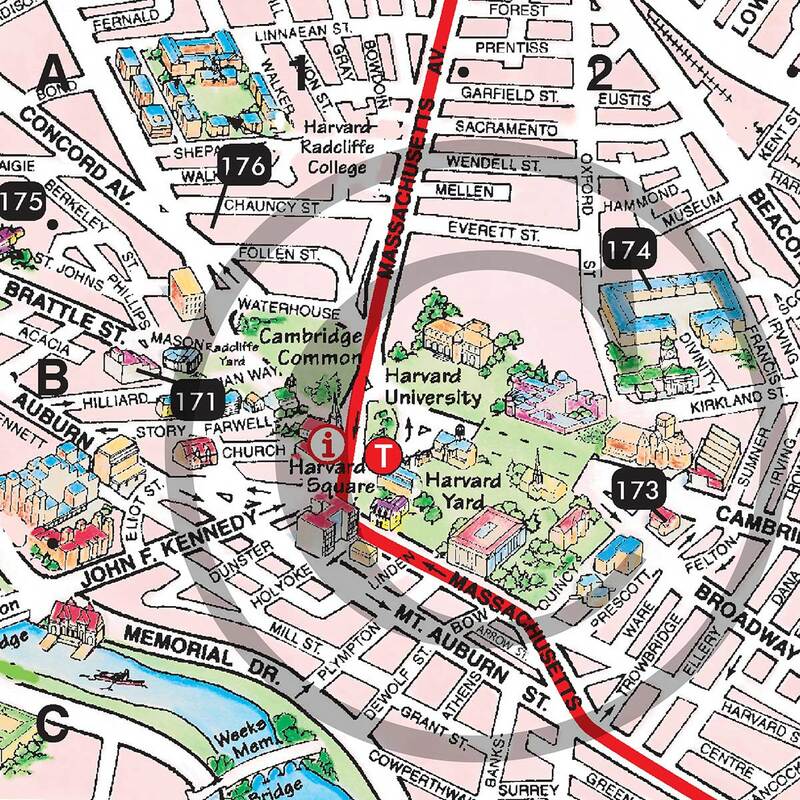 Detailed walking map of Boston on one side, complete with MBTA stops, historical walking tours, and pedestrian areas. On the other side is a “bird’s -eye view” of the Greater Boston Area, well suited to mapping driving routes among the various regions. Includes a comprehensive index of hotels, shopping, dining, points of interest, and more. Folded to convenient “pocket” size of approximately 3 5/8″ x 8 1/2″. For greater quantities, please call 800-436-4116 or contact us online. 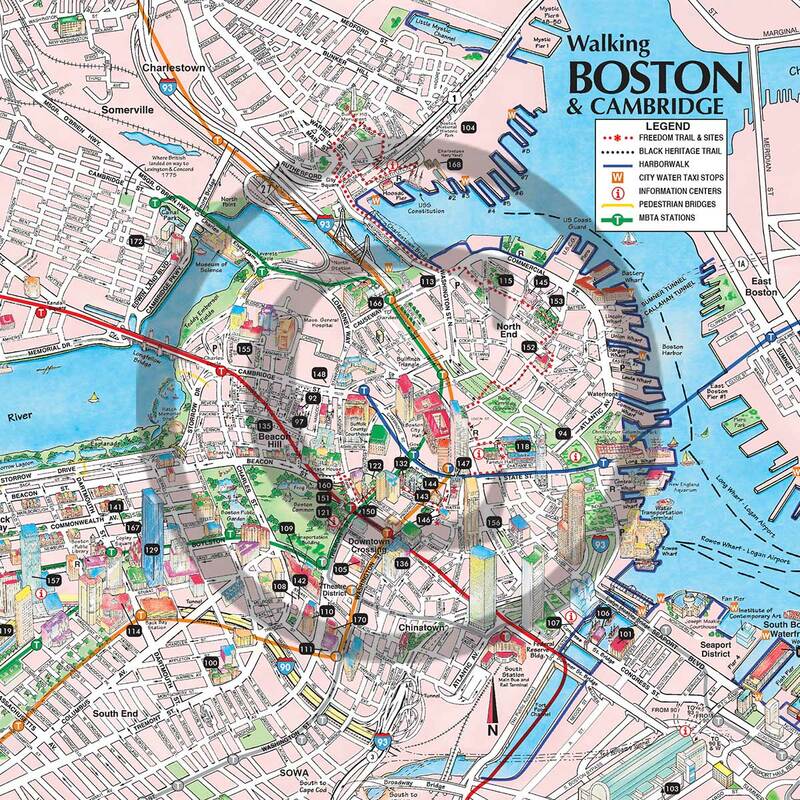 Our Boston Walking Map is an attractive, useful guide to the Greater Boston Area. The colorful illustrations show major roads, landmarks, buildings and even the topography of some areas. 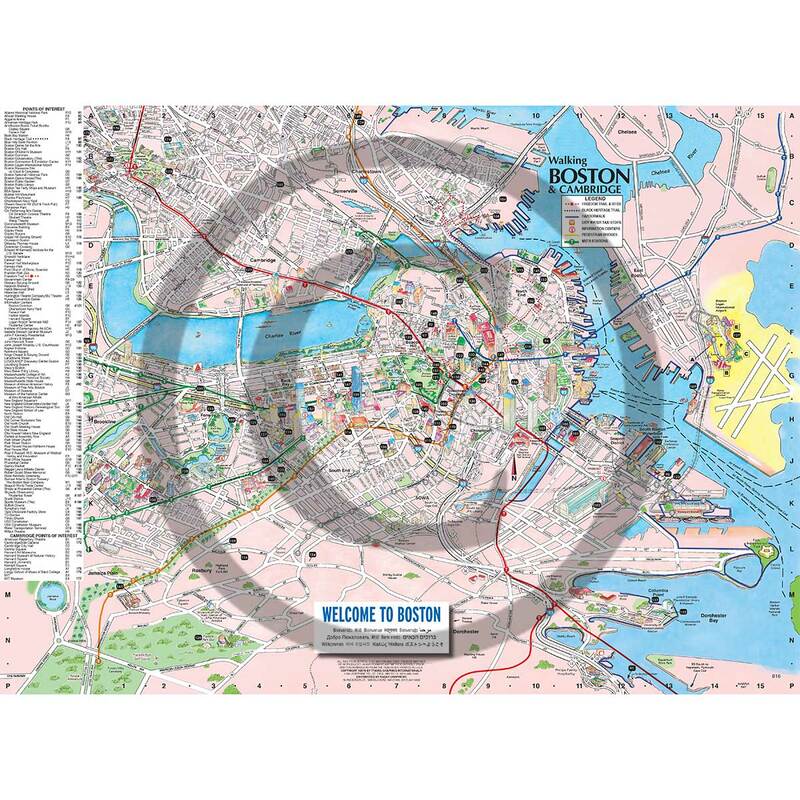 Each Boston Walking Map features a detailed walking map of Boston on one side, complete with MBTA stops, historical walking tours, and pedestrian areas. On the other side is a “bird’s -eye view” of the Greater Boston Area, well suited to mapping driving routes among the various regions. 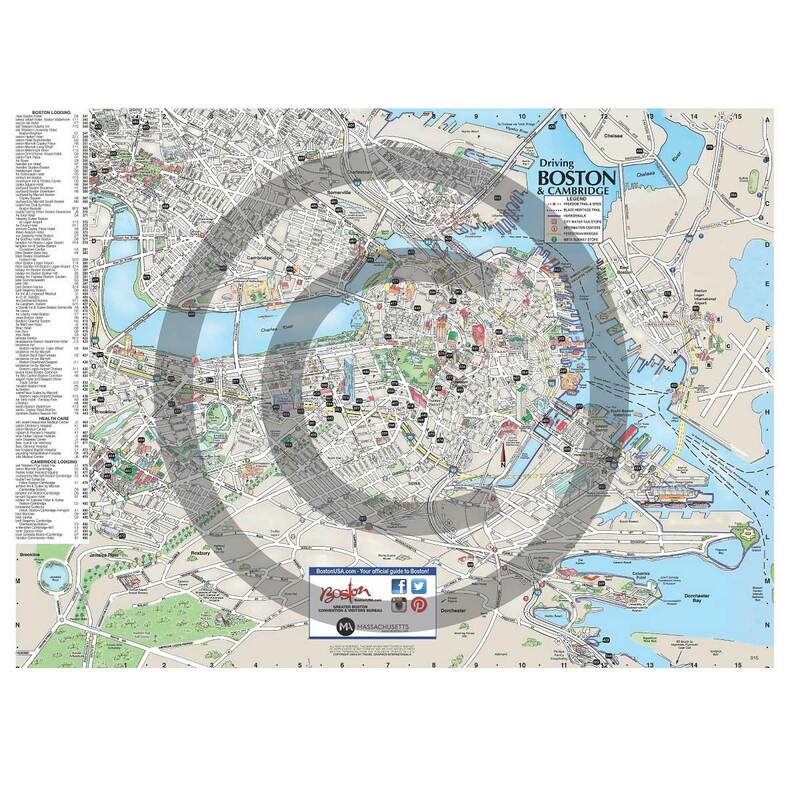 The map includes a comprehensive index of hotels, shopping, dining, attractions, and more. Each index listing is numbered for easy identification on the map. 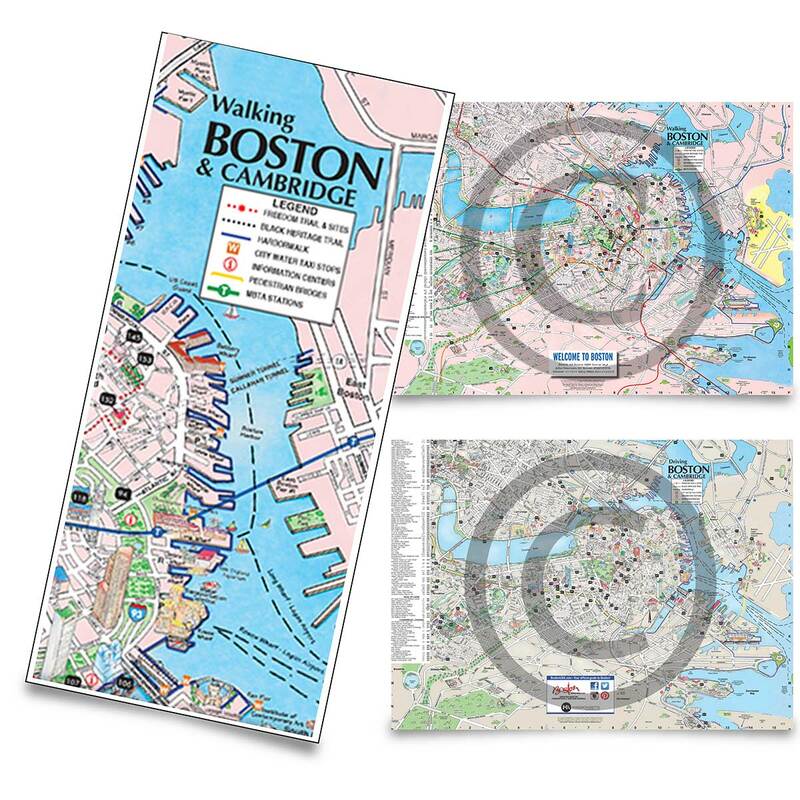 The Boston Walking Maps are printed on matte-look paper sized 13.25″ x 18″. They can be padded or folded in thirds upon buyer request. The Boston Walking Map can be imprinted with a business logo on either side or completely customized for your unique business needs. Request a quote for more information on customization and imprinting.